← What is frontotemporal dementia (FTD)? 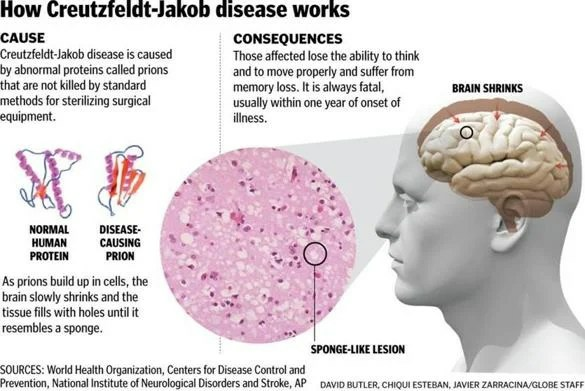 Creutzfeldt-Jakob disease (CJD) is one of the rarer forms of dementia. Rarer forms account for only around 5 per cent of all dementia cases in the UK. CJD is caused by an abnormally shaped protein called a prion infecting the brain. Sporadic CJD, which normally affects people over 40, is the most common form of the disease. It is estimated that the disease affects about one out of every 1 million people each year. 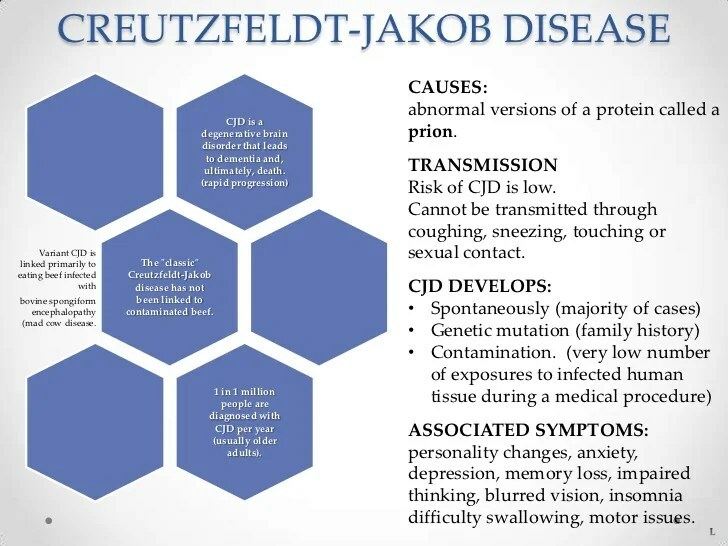 It is not known what triggers sporadic CJD, but it is not known to be inherited or otherwise transmitted from person to person. Diagnosis can often be difficult as a range of causes including Alzheimer’s disease and vascular dementia need to be ruled out. (See factsheets 401, What is Alzheimer’s disease? and 402, What is vascular dementia?). If no immediate diagnosis is obvious, the neurologist may conclude that the person has a rare neurodegenerative disease – a type of disease that affects the nervous system and gets worse over time – and may refer them to the National Prion Clinic in London for further assessment (see ‘Other useful organisations’).